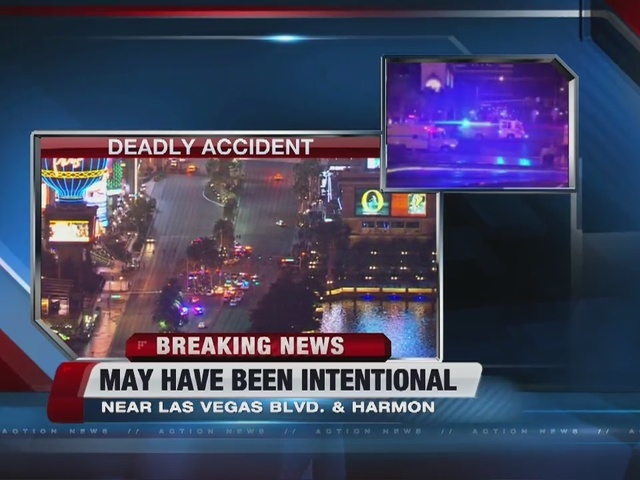 LAS VEGAS (AP) — A homeless woman accused of slamming a car carrying her 3-year-old daughter into a crowd of pedestrians on the Las Vegas Strip told authorities she was stressed out after being chased by security guards from parking lots where she had been trying to sleep before the crash, according to a police report obtained Monday. Lakeisha N. Holloway, 24, resided in Oregon and had been in Las Vegas for about a week in her 1996 Oldsmobile sedan, parking it at garages throughout the city, Clark County Sheriff Joe Lombardo said. After her arrest, Holloway "described a stressful period today where she was trying to rest/sleep inside her vehicle with her daughter but kept getting run off by security of the properties she stopped at," the police report states. 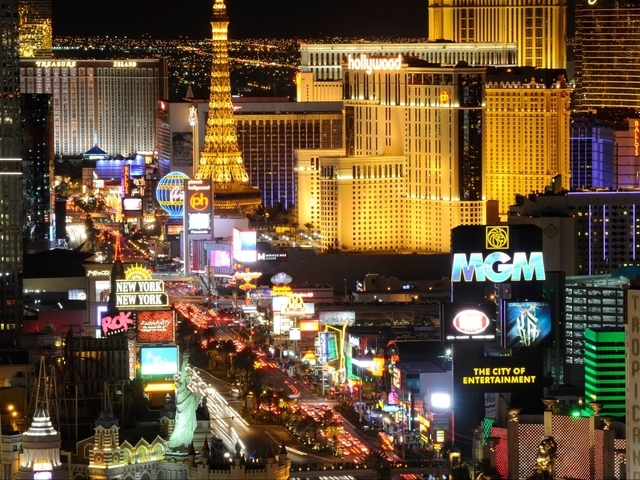 "She ended up on the Strip, 'a place she did not want to be,'" the report quoted her as saying. "She would not explain why she drove onto the sidewalk but remembered a body bouncing off her windshield, breaking it." Investigators said Holloway had run out of money and she and her daughter had been living in the car. Police believe she was headed to Dallas to find her daughter's father after they had a falling out. 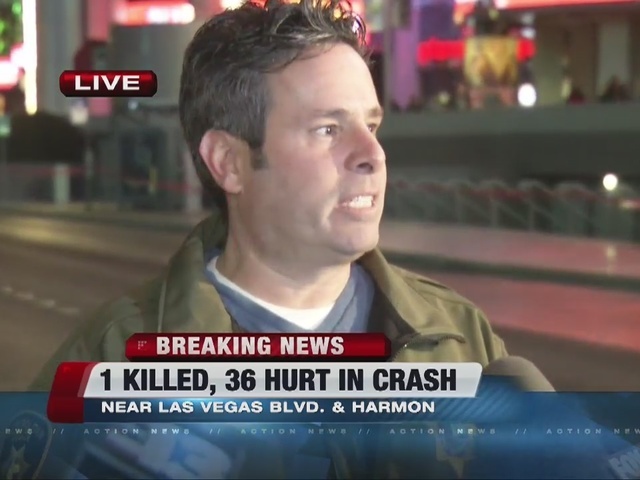 Holloway is accused of intentionally mowing down people on a busy stretch of Las Vegas Boulevard, killing a woman from Arizona and injuring dozens of others on Sunday night. After the crash, she parked at a casino a few blocks away, told a parking attendant that she had run down people and asked the valet to call 911, Lombardo said. Her daughter, who was in the backseat, was not hurt. The sheriff said Holloway was stoic when police arrived, showed no resistance and spoke coherently about what happened. He declined to elaborate on what she said. "She didn't appear to be distressed due to her actions. That's the best way I can describe it," Lombardo said. Authorities declined to comment on a potential motive and said they were struggling to piece together Holloway's background. She had changed her name to Paris Paradise Morton in October, according to Oregon court records. Several years ago, Holloway, a graduate of an alternative high school, received an award for overcoming adversity from the nonprofit Portland Opportunities Industrial Center. Holloway's cousin, Lashay Hardaway, told The Oregonian that Holloway worked hard to provide for her daughter. 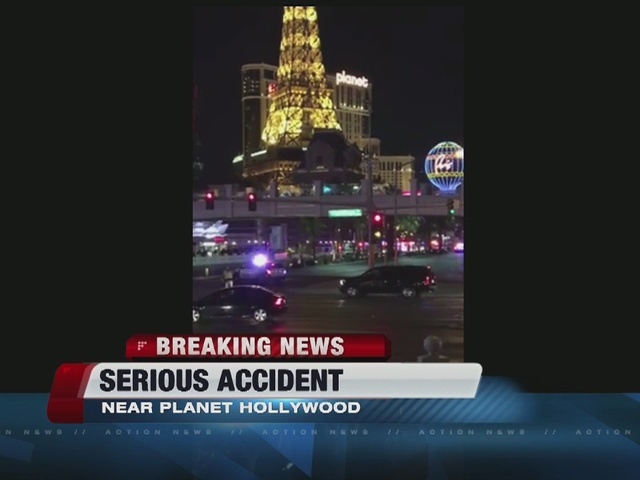 The crash happened in front of the Paris and Planet Hollywood casino-hotels and across from dancing water fountains of the Bellagio hotel-casino. Droves of visitors to the stretch walk from one casino to another. 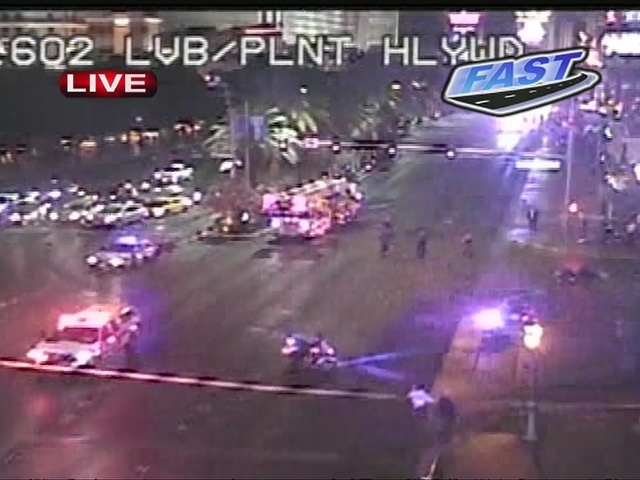 The Miss Universe pageant was being held at Planet Hollywood at the time of the crash. People jumped on the car and banged on its windows, but Holloway didn't stop driving on the sidewalk, Lombardo said. The car was fully on the sidewalk twice, including once when it traveled for 200 feet, police said. There was no evidence that Holloway had consumed alcohol, but a drug recognition expert at the scene determined that she was under the influence of some sort of stimulant, Lombardo said. Holloway, who was being held without bail, will be charged with murder with a deadly weapon, said Clark County District Attorney Steve Wolfson, who anticipated "a great number" of additional charges. Holloway was under suicide watch at jail, said Deputy Clark County Public Defender Scott Coffee said. He said it was too early to say if he would pursue an insanity defense. At least 35 people injured in the crash were taken to hospitals, including three people still in critical condition with head injuries, officials said. Sunrise Hospital & Medical Center, which treated 13, still had five patients Monday, including two who were upgraded to good condition. The crash killed Jessica Valenzuela, 32, of Buckeye, Arizona, who was visiting Las Vegas with her husband, according to the Clark County coroner. Other victims were from Oregon, Florida, Colorado, California, Washington, Mexico, and Quebec, Canada. Five were Canadian citizens, and four were Oregon college students in town to compete in a wrestling tournament. Among the injured were five wrestlers and their coach from Delaware Valley University in Doylestown, Pennsylvania. Another four were wresters from Pacific University in Forest Grove, Oregon. Justin Cochrane of Santa Barbara, California, said the car appeared to be going 30 to 40 mph when it struck the pedestrians. "It was just massacring people," said Cochrane, who was having dinner at a sidewalk restaurant outside the Paris hotel. Cochrane said he couldn't understand why the driver went into the crowd a second time. 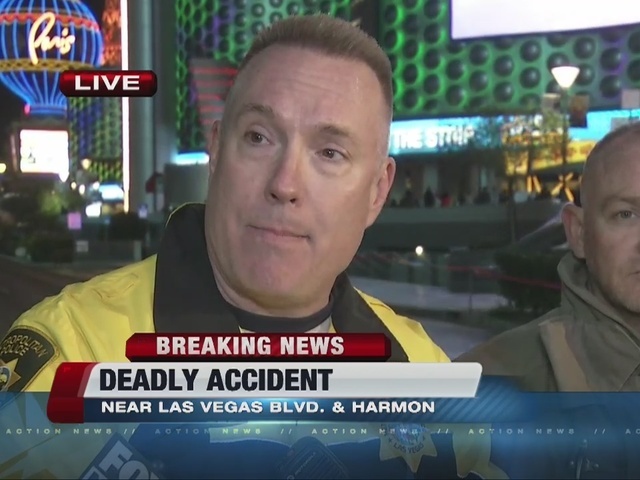 He saw children and adults injured on the ground as the car drove away.